Clinical pilates is an individually tailored assessment and treatment approach towards rehabilitation from injury. Clinical pilates utilises the additional level of physiological and anatomical knowledge your physiotherapist has to the standard pilates exercises. This means that the physiotherapist can provide exercises and movements to your specific condition, allowing the appropriate targeting of problem areas promoting greater injury management and recovery. 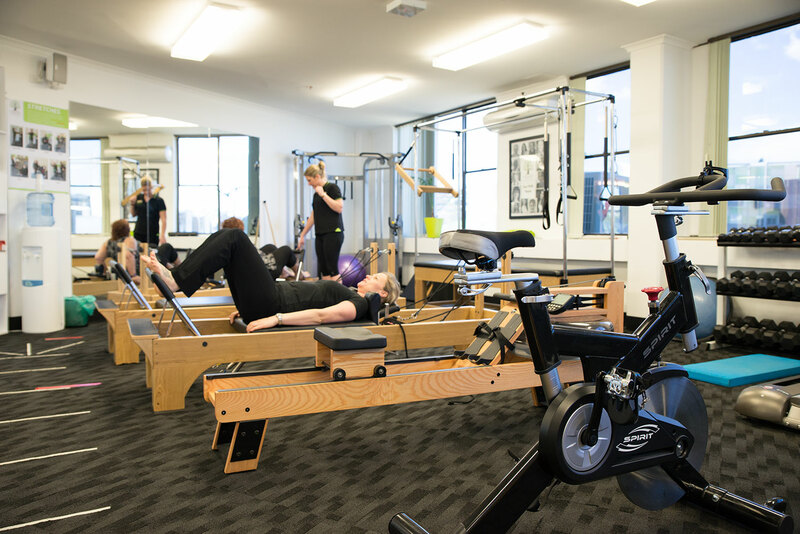 Clinical pilates can be used to treat acute spinal conditions, rehabilitation from chronic neck and back pain, rehabilitate sporting injuries,improve muscle control and treat pre and postnatal patients. Your physiotherapist will work one-on-one with you to devise a tailor-made program to ensure you recover fully from your condition/injury. Once you’ve got excellent technique, control and your symptoms are stable, the physiotherapist may progress you from one-on-one sessions to small groups in our pilates classes program. If you’re thinking about undertaking clinical pilates to manage your injury, first book an appointment with one of our Physiotherapists. They’ll assess your condition and determine the best course of action. You may require some physiotherapy treatment prior to commencing in clinical pilates or pilates class. Call 61220150 to book an appointment or alternatively, request an appointment via our website and we’ll get back to you with appointment availabilities.